Yay, it’s 2018! Every new year allows us to collectively move past the splendor—and the havoc—of the holiday season and step headlong into another enchanting Aspen winter. At Aspen Vida Medi Spa, it’s official! This year, we, too, are moving forward. We’ve set our stride in the new year by opening the doors of our redesigned space to our established—and new—clientele, just in time to provide you with your ultimate winter wellness, skin and beauty needs. 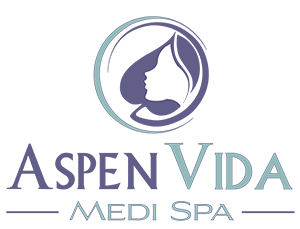 Aspen Vida Medi Spa has expanded to create a beauty and wellness retreat right in the heart of Aspen. We are an all-encompassing day spa answering to your ultimate well-being desires through personalized experiences. Together, we’ll cultivate your most beautiful you, starting now and all year long. Our new digs include 2,500 square feet of updated reception area, relaxing treatment rooms, and lux therapy space designed to meet all your needs. Want to shop? Pamper yourself with our handpicked selection of products and gifts. Want to look great? Treat yourself to one of our signature facials. Want to feel better? Indulge in a Coolsculpt or Laser session. Or, simply need to relax? Enjoy a custom massage. At Aspen Vida Medi Spa, we have gone above and beyond to procure the most up-to-date treatment opportunities to fulfill all your needs. As for 2018, so far, we’ve fulfilled our resolution to update our fabulous bricks-n-mortar locale while offering a one-stop-shop for beauty and well-being. Stay tuned for more exciting things to come. If your new year resolution involves being more beautiful and happy in your skin, please join us! Convenient location, talented professionals, and current treatments all within a new Zen-like aesthetic. It’s going to be a great year!